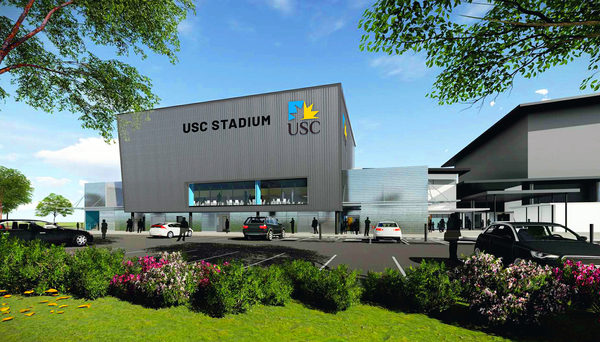 Artist impressions of the USC Stadium redevelopment. Plans are in place to unveil the new-look USC Stadium when Sunshine Coast Lightning hosts the Giants in a Round 5 clash of the Suncorp Super Netball on Saturday 25 May. 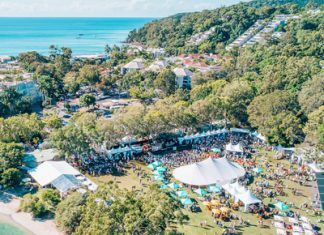 Work to expand the sporting venue seating capacity by 50 percent is progressing well, with the $9 million redevelopment project on track for completion within two months. 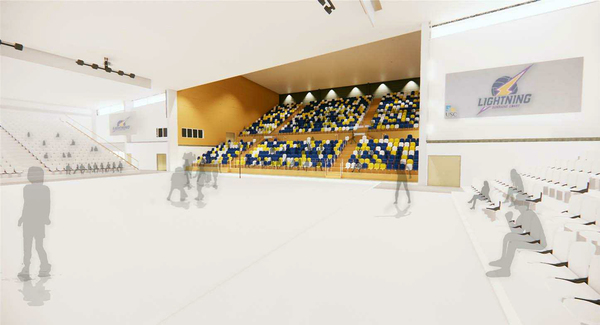 University of the Sunshine Coast released artist impressions of the redevelopment, which is being funded by the Queensland Government and constructed by Sunshine Coast company Evans Built.